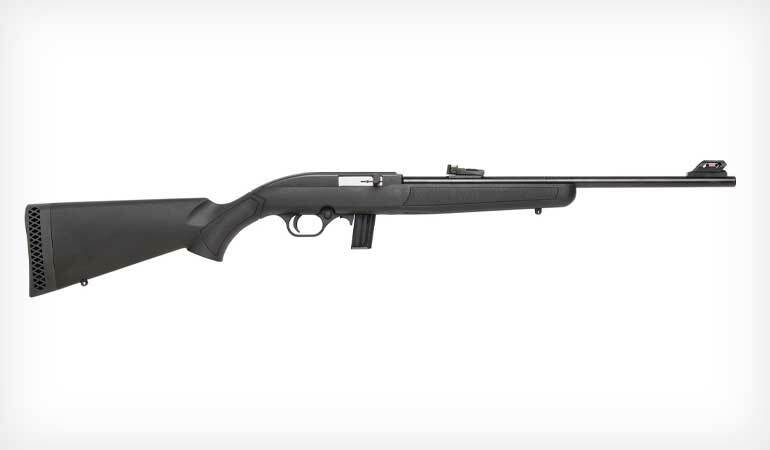 The Ruger Custom Shop 10/22 Competition is a versatile choice for the rimfire lover. I don’t really know any shooter that doesn’t enjoy spending time with a good rimfire rifle; they’re easy on the shoulder, easy on the ears, and easy on the wallet. I use mine for good number of purposes, including hunting small game and predators, eradicating varmints, target work, and as a tool for training new shooters. 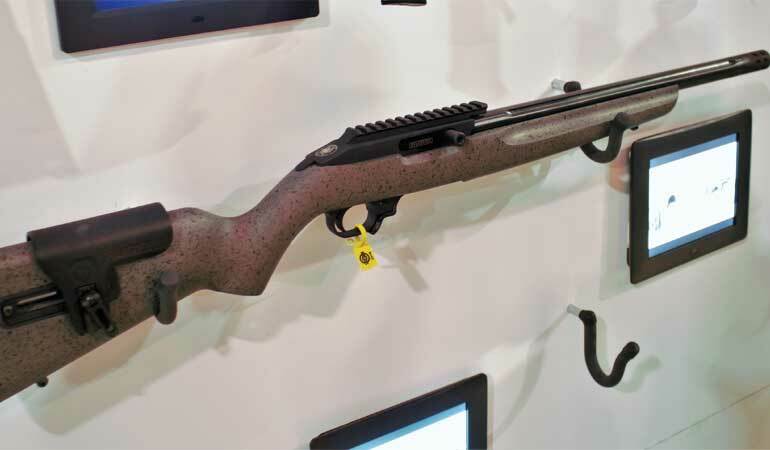 While pacing the aisles of the 2019 SHOT Show, I kept an eye out for new rimfire rifles, and found a few that caught my eye. 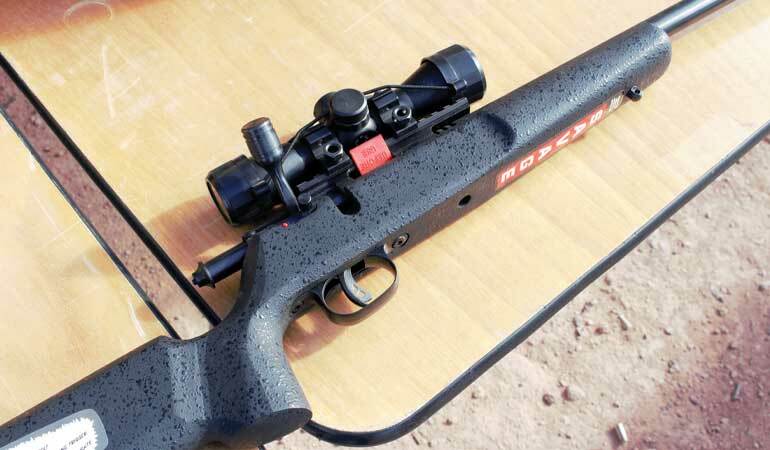 A 30-MOA rail and adjustable cheekpiece makes the Ruger Custom 10/22 Competition a good choice for longer rimfire shots. 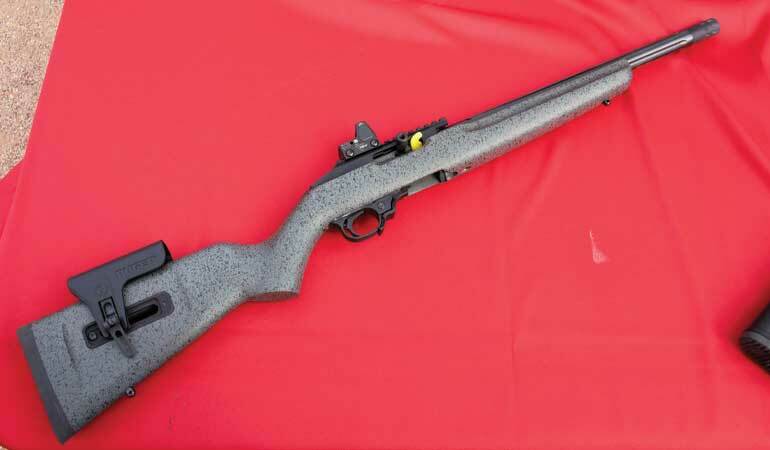 The 10/22 platform is among the most popular rimfire designs ever sold, and has been used as the basis for many different models from Ruger, as well as other custom rifle makers. For 2019, Ruger’s Custom Shop offers the 10/22 Competition Rifle, a cool little rifle packed full of desirable features. A cold hammer-forged 16 1/8” bull barrel is mated to the 10/22 receiver, and set in a painted gray/black laminate stock, with a pebbled finished that is aesthetic as it is functional. The muzzle end of the barrel is threaded for a brake or suppressor, and a the action is dual bedded in the stock. 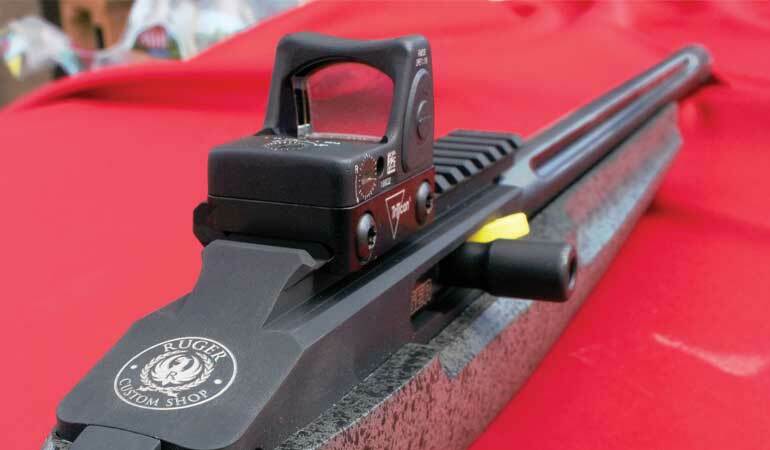 A red dot sight on the Ruger Competition mounts quickly to the Picatinny rail, and is perfect for intermediate shots. 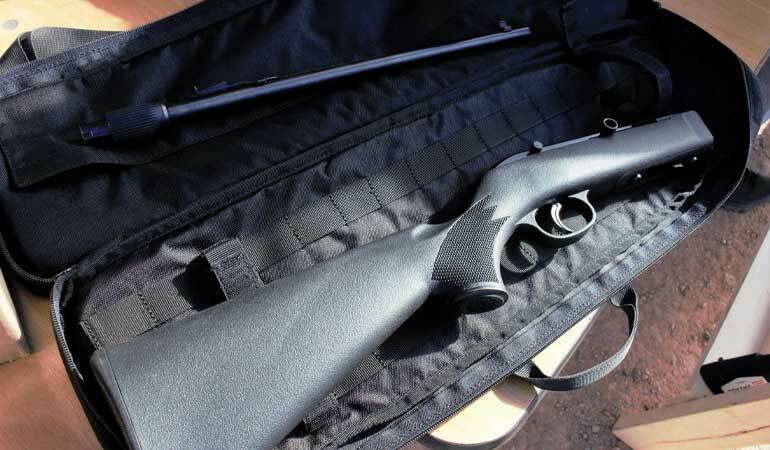 The Savage 64 Takedown is a simple, compact and rugged rimfire rifle choice. The classic Browning design is available in an octagon barrel configuration, for those who enjoy the older designs. John M. Browning’s designs are among the most revered and famous of American firearms, and the SA-22 rifle is no exception. I was first introduced to the rifle when my Dad’s mentor – Mr. David W, Miller – showed me how accurate an iron-sighted rimfire could be on squirrels, when I was a young man. I was absolutely intrigued when he started loading the cartridges through the rear stock, and never forgot the accuracy of that rifle. For 2019, Browning introduces the SA-22 Grade II Octagon, with an engraved satin nickel receiver and a – you guessed it – a blued-steel octagon barrel. As pretty in person as it is in the advertisements, the SA-22 Grade II Octagon is worthy of the rifle collector. 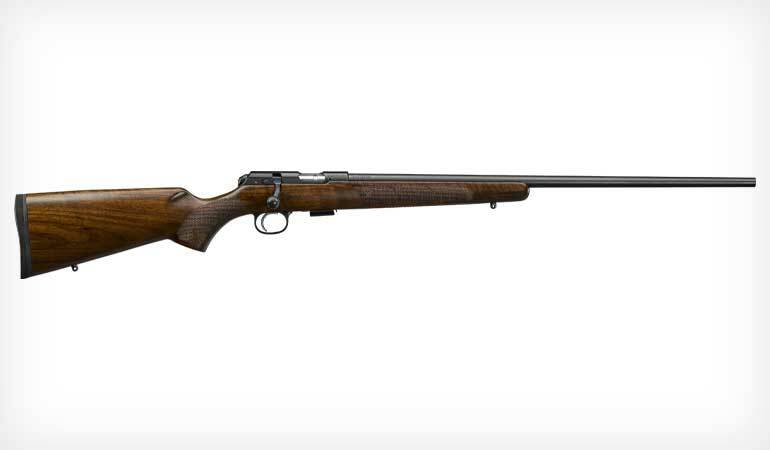 The new Winchester Wildcat 22 is a new and innovative design. Winchester releases an entirely new design for 2019, their autoloading Wildcat 22 rifle. With a space-age look – though I greatly appreciate the classic designs, I like the look of the Wildcat hollowed-out stock – and sensible features, the Wildcat makes a lot of sense. An 18” barrel is mated to an autoloading receiver with an integral Picatinny rail. 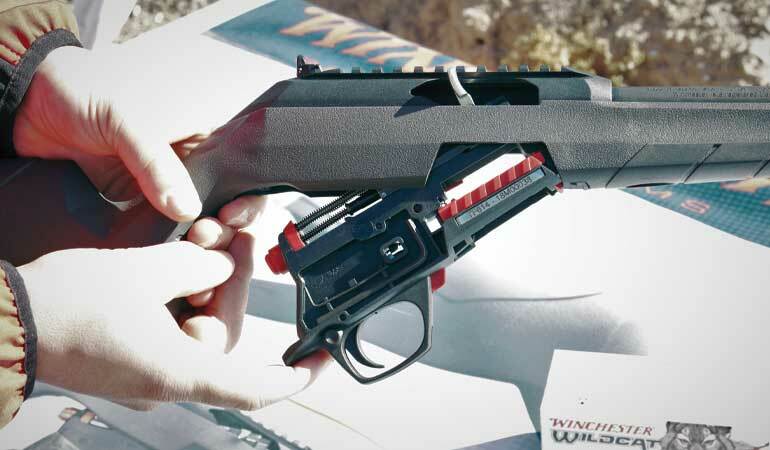 That receiver is designed to use the Ruger 10/22 rotary magazine, yet Winchester provides its own design, which features two tabs on the sides to remove the magazine, in addition to the traditional forward magazine release under the action. The lower receiver assembly is quickly removed from the Winchester Wildcat, allowing the user to clean the rifle from the rear. The lower receiver assembly can easily be removed at the push of the button, and a port allows the rifle to be cleaned from the breech. The striker-fired action is smooth and reliable; I enjoyed shooting the little rifle at SHOT Show’s Industry Day at the Range. A rear ghost ring sight and ramped post front sight make for fast target acquisition and its crossbolt safety can be reversed for left-handed shooters. The Wildcat is an innovative new design, with sensible features that any shooter would enjoy. CZ’s 457 American has much to offer to the rimfire rifleman, including switch-barrel capability. The Browning T-Bolt Speed is aptly named; the straight-pull bolt makes for rapid follow-up shots. 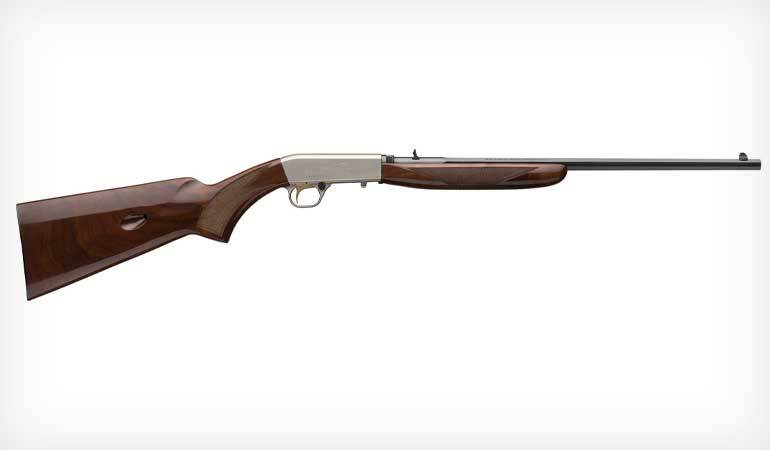 The Mossberg International 702 Plinkster is a fantastic value for the first time buyer. The Savage Rascal Target XP is simply a fun rifle, whether you’re a youngster or just young at heart.